A movement to divest college campuses from fossil fuels is spreading to religious institutions as well. 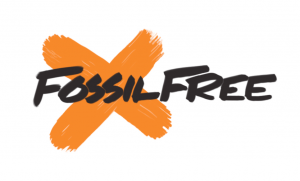 Inspired by 350.org and Bill McKibben�s� article �Global Warming�s Terrifying New Math� in Rolling Stone last summer, the 1.2 million member United Church of Christ will take a vote on this issue at their annual meeting in June. Our own member congregation, Congregation Beth Shalom in Clifton Park has already decided to divest from fossil fuels. If your congregation has also decided to divest from fossil fuels, let us know! To learn more about this campaign, click here.